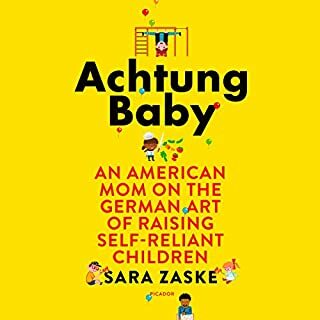 When Sara Zaske moved from Oregon to Berlin with her husband and toddler, she knew the transition would be challenging, especially when she became pregnant with her second child. She was surprised to discover that German parents give their children a great deal of freedom - much more than Americans. In Berlin, kids walk to school by themselves, ride the subway alone, cut food with sharp knives, and even play with fire. German parents did not share her fears, and their children were thriving. Pediatrician Nimali Fernando and feeding therapist Melanie Potock (a.k.a. Dr. Yum and Coach Mel) know the importance of giving your child the right start on his or her food journey - for good health, motor skills, and even cognitive and emotional development. In Raising a Healthy, Happy Eater they explain how to expand your family's food horizons, avoid the picky eater trap, identify special feeding needs, and put joy back into mealtimes. How do the French create the elusive and alluring sanctuaries they call home? This question long intrigued Danielle Postel-Vinay. Thanks to a chance encounter with a French expat in La Crosse, Wisconsin, and years of immersive research, she embarked on a quest to discover the secrets of the French home aesthetic. Experiencing first-hand la belle vie - the beautiful life - Postel-Vinay now shows everyone how to create their own French sanctuary, a home sweet maison, no matter where they live. When she moved her young family to her husband's hometown in northern France, Karen Le Billon expected some cultural adjustment. But she didn't expect to be lectured for slipping her fussing toddler a snack, or to be forbidden from packing her older daughter a school lunch. 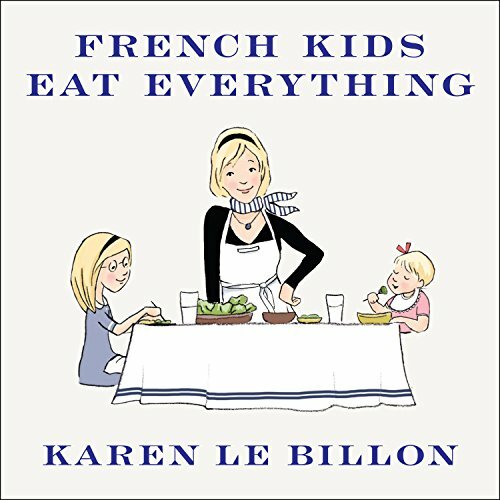 Karen is intrigued by the fact that French children happily eat everything - from beets to broccoli, from salad to spinach - while French obesity rates are a fraction of what they are in North America. 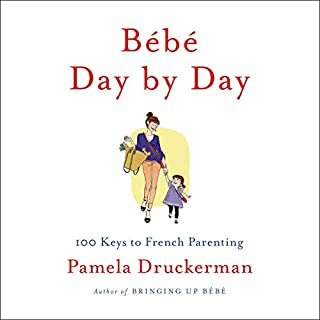 Karen soon begins to see the wisdom in the "food rules" that the French use to foster healthy eating habits and good manners in babies and children. Some of the rules call into question both our eating habits and our parenting styles. Other rules evoke commonsense habits that we used to share but have somehow forgotten. Can I have a snack? main non, bien sur - NO! The book was overall well written, and is true to some degree. Europeans (I know that I am one of them) take great care what to cook, how to prepare it and gladly spend more time in the kitchen, then doing other things. I cook everything from scratch and we eat pretty healthy, much cheaper then if we were to eat processed foods. I have to agree that in the States,children snack too much, drink too early juices (full of sugar) and are eating quite a bit of their meals in the car, rather than at the table. This book is definitely a valuable tool, if you are willing to try this approach in order to cure your picky eater into an eater. So, overall her story has good value, but it could have been written in two chapters! Karen Le Billon writes adequately, nothing impressive, somewhat unimaginative. She is very repetitive and sometimes when you are listening to the book you think, wait did I go backwards in the story? That's how repetitive her story is. Also, not everyone in France eats that way, although true, the average French person eats more nutritious food, then some of my friends here in the US. 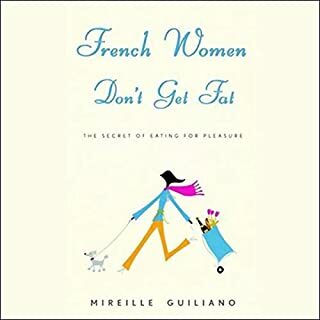 I think her husband Philip sums it up nicely in the book when he says that both sides - American and European - well French, have both good points and bad points about their view of food and nourishment. What I did not appreciate in this cultural dilemma, but pointed out very clearly by the author is that French give a great deal of thought to their food. If you (doesn't matter who you are) don't accept that, you are or will not be accepted. And even if you are "accepted" - they (the French) never really make friends with you, because they just don't do THAT easily? Hm, sounds to me a bit as hypocrisy - Yes, we shouldn't overdo, over-fuzz or mindlessly eat - healthy food is hard to come by and we should respect the product. However, are we humans, friendships and future relationships not much more important than how we view food, even if we are :bien éduqués" meaning "well taught"? I rather pass on a wonderful french dinner and spend time with a friend or a new friend to make, than snob them because they don't appreciate their food the french way. Would you be willing to try another one of Cris Dukehart’s performances? NOOOOOOOOOOOOOOOOOOOOOOOOOOO! HORRIBLE narration. I almost cried when I heard her French, it's terrible, ruins the whole book. She is an ok reader for English, but her French which obviously was not "edited" or "rehearsed" really takes the fun out of the book. Therefore I would NOT recommend this book as an audible book. I really think that Audible should screen their readers when they read in different languages! Do you think French Kids Eat Everything needs a follow-up book? Why or why not? Due to the narration I would NOT recommend this book. Read it in print! Some valuable advise in the book. Reader apparently thought every single sentence was meant to be tongue in cheek. It's tiresome to listen to a full paragraph that way... think of the weariness from listening to a whole book. And that's just the English phrases. The French was poorly pronounced even to my non-native ear. As for the book, you're better off with Bringing Up Bebe, which is better written, funnier, and better researched. My 2.5 year old started eating better after only 3 days of trying the food rules. We still have a way to go but she is now eating things like quinoa, broccoli, kale, carrots, sweet potatoes, and steak without struggle. Slowly introducing more foods. 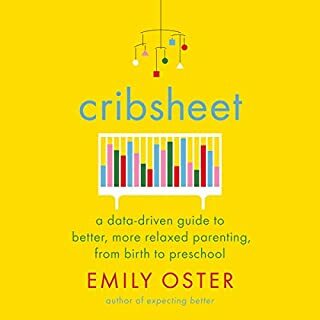 I'm not sure where I got off track as she ate everything as a baby, but this book really helps you get back on track. This is a super read and I loved it! My one suggestion is that the narrator needs to be someone with at least moderate French speaking ability. There is enough French (also translated) that the author should have chosen a different reader whose accent is not off-putting, or recorded these sections herself. This was distracting. Starts off a bit slow, but picks up midway through. Author provides good tangible ideas to implement with your family. Worth the listen. 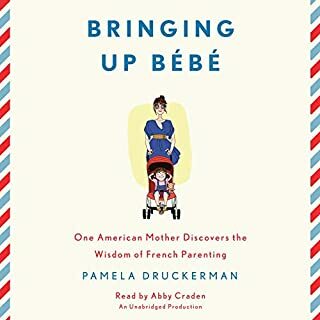 I decided to listen to this book after I finished Bringing Up Bebe. I saw reviews saying this book was better. I didn't find that was the case for me and I found it hard to relate to the author. If I had to summarize this book in a few words it's "How to try and teach your kids not to be picky eaters when you are also a picky eater". As someone who is not a picky eater and is excited about food I found the author's story to be irritating. Of course you're not going to have adventurous kids if you refuse to eat most everything. The most interesting part for me was how difficult it was for her daughter to fit into French school society. And inversely when they moved back to Canada how much of an adjustment it was the other way. It's a good lesson for parents thinking about moving to other countries with their kids. It's a rough adjustment period for everyone, including the children, and children are not social experiments. It seemed a little cruel to totally change their environment just to move back to Canada in a year. I'm sure that their kids will have gained something from their year in France but I do feel somewhat bad for their daughters and the emotional toll it must have taken on them and the family. What didn’t you like about Cris Dukehart’s performance? Her french pronunciation was terrible and her attempts at french accents often sounded Indian or just totally off base. As someone who studied french in High school listening to her pronunciation of French words was like nails on a chalkboard. She also could not pronounce anecdote, which drove me crazy. What else would you have wanted to know about Karen Le Billon’s life? If she managed to enact any change at her daughter's schools back in Canada. All in all, if you are a middle class/upper middle class Urbanite/Foodie I think you may enjoy Bringing Up Bebe more than this book. I think the author's voice and experiences resonated with me much more than Le Billon's did. Practical realistic way of understanding culture and food preference as well as jow to help your own family develop better eating habits. The narrator is not French. I am not French, either, but even limited junior high school French classes gave me the ability to recognize a butchered French accent. It became a bit painful toward the middle/end of the audio book. Did French Kids Eat Everything inspire you to do anything? 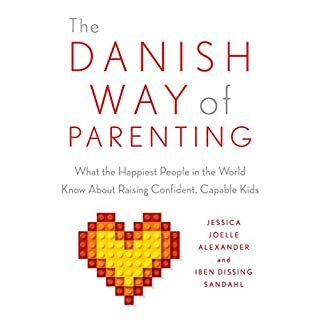 This book changed my approach to feeding my toddler in important ways! If you could sum up French Kids Eat Everything in three words, what would they be? I enjoyed how the author coped, wrote about, and expanded her experience of living in France and eating. I hope this author will write a second book. I would read it with relish. I have a 9-month-old and was interested in learning about how to introduce food to kids, especially in infancy. This book does an excellent job of describing struggles and triumphs when introducing kids to new foods. I learned so much!